hosted by Housewife on a Mission and Thrifty Nifty Mommy! products in Canada and the USA! 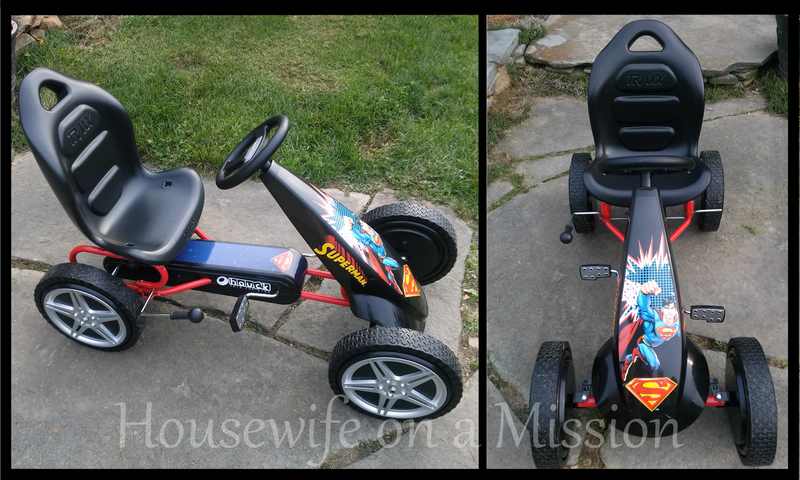 To read Megan’s full review the Superman Go Kart, GO HERE. curves, with the easy-to-use handbrake. 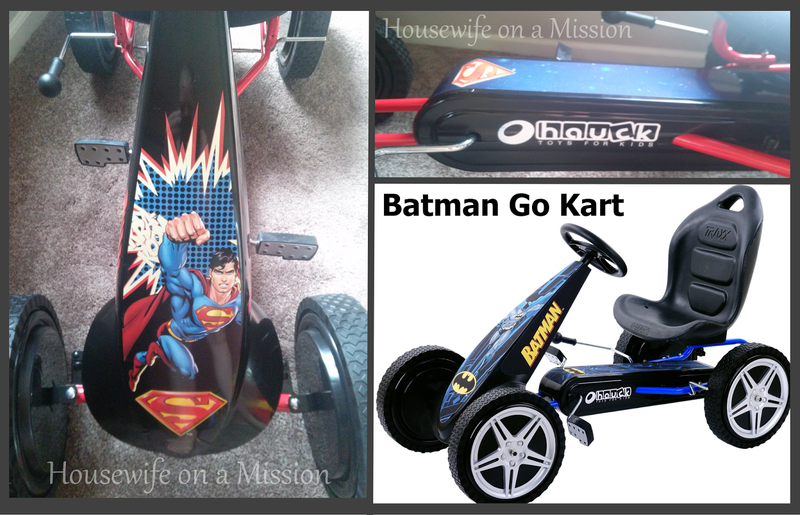 One lucky person will WIN a Hauck Toys Superman or Batman Go Kart (winner’s choice) valued at $229! Connect: You can connect with Hauck Toys on the Grand Touring Baby website and on their Facebook. Win It: Just enter using the Giveaway Tools form below for your chance to WIN a Hauck Toys Go Kart in either Superman or Batman theme. 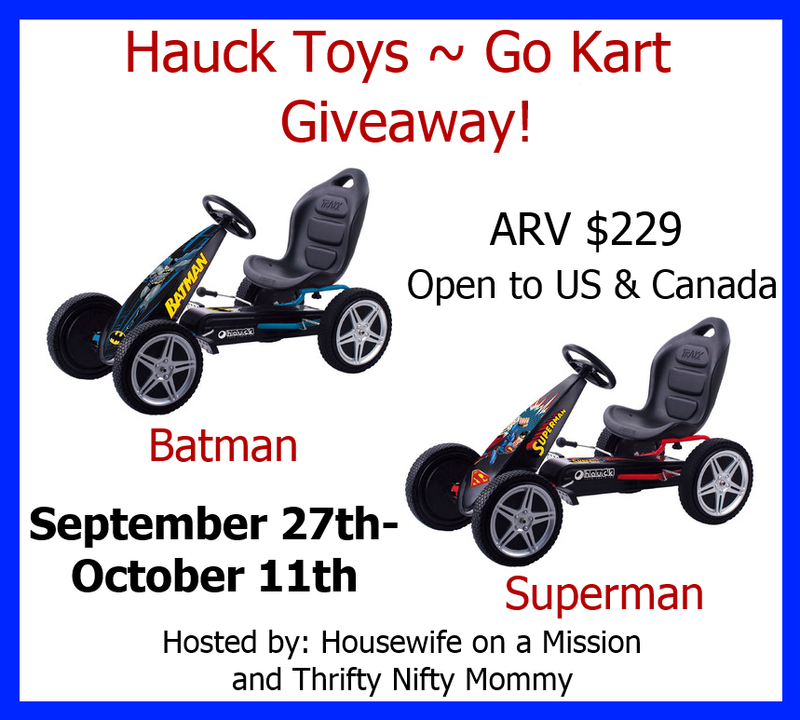 To WIN a Hauck Toys Superman or Batman Go Kart valued at $229, just enter using the Giveaway Tools form. (excluding Yukon, NWT & Nunavut) only,ages 18 and up. Ends 10/11/13 at 11:59 PM EST. I’d like to give the Heart to Heart Dream set includes a Play Yard with a working mobile and a changing station to my granddaughter. Hello, my name is LaDonna. I am from Indiana in the USA. I am the owner of Happy Home and Family, Thrifty 4nsic Gal, and We Heart Family and Friends. I have been blogging since 2010. I am a mom to six children. I enjoy blogging, writing content, reviewing products, holding giveaways and posting sweepstakes. I love to cook, but do not like the clean up afterwards. Who does right? My family has a female dalmatian named Bonnie, a male miniature cocker spaniel named Marley, a male cat named Fellow, a few rabbits, and fish as well.